The map that you can see here shows a selection of the best Architectural Visits that I have done up to date. I wish I could do a post for each of them, but I cannot find enough time… However, I would like to share them with you. All are a must-see for architecture lovers, so you can include them in your trips! I will keep updating the map as I visit interesting new places. It would be wonderful if you could recommend me architectural works that you have visited and that, indeed, I shouldn’t miss. Besides, if you want to see any of the works of which I have not shown anything yet, leave a comment! I promise I’ll try to do a post as soon as possible. 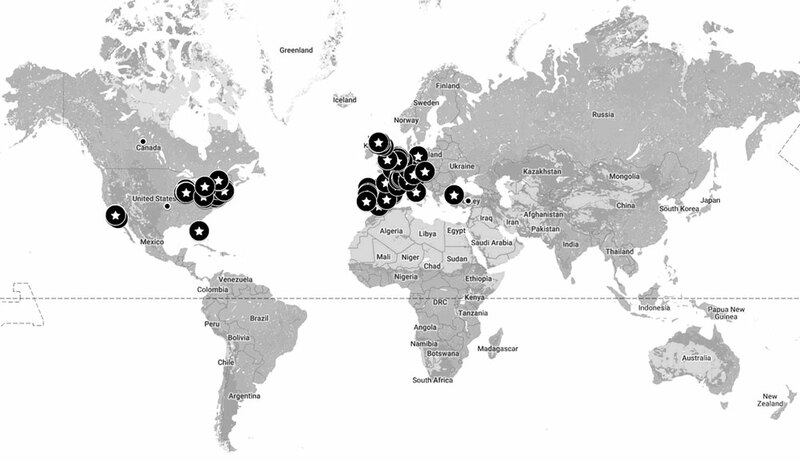 Finally, here you have the list of my Architectural Visits around the world. It seems that for now I was mainly focused in a part of Europe and the USA, so I need to expand my horizons… Any suggestion?